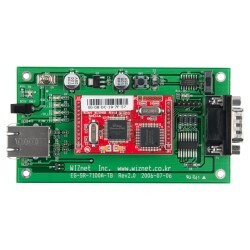 WIZ100SR is the serial to Ethernet module using W5100 & 8051 MCU. WIZ100SR is the protocol converter that transmits the data sent by serial equipment as TCP/IP data type, and converts back the TCP/IP data received through the network into serial data to transmit back to the equipment. 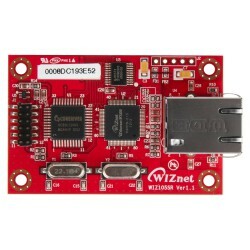 WIZ110SR is the serial to Ethernet module using W5100 & 8051 MCU. WIZ110SR is the protocol converter that transmits the data sent by serial equipment as TCP/IP data type, and converts back the TCP/IP data received through the network into serial data to transmit back to the equipment. 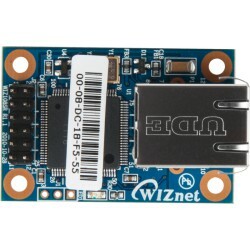 WIZ120SR is an embedded module based on WIZnet W5100 & ARM Cortex-M3. WIZ120SR is the protocol converter that transmits the data sent by serial equipment as TCP/IP data type, and converts back the TCP/IP data received through the network into serial data to transmit back to the equipment. 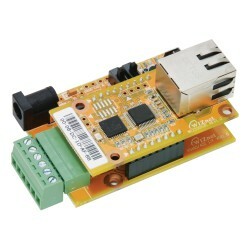 WIZ125SR is an embedded module based on WIZnet W5100 & ARM Cortex-M3. 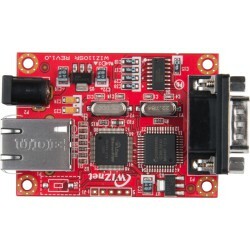 WIZ125SR supports two serial devices. 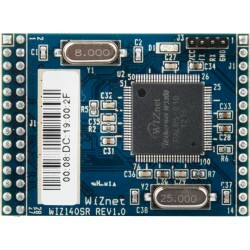 WIZ140SR is an embedded module based on WIZnet W5300 & ARM Cortex-M3. It support up to four serial device. 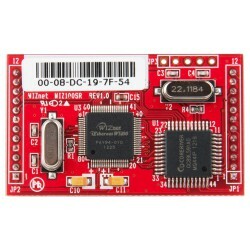 WIZ145SR is an embedded module based on WIZnet W5300 & ARM Cortex-M3. 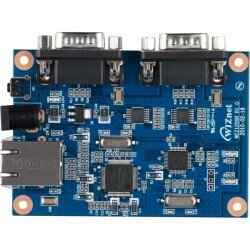 WIZ100SR-EVB is a evaluation board for WIZ100SR. 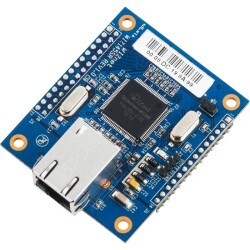 WIZ100SR is the serial to Ethernet module using W5100 & 8051 MCU. 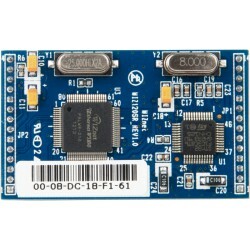 WIZ100SR is the protocol converter that transmits the data sent by a serial equipment as TCP/IP data type, and converts back the TCP/IP data received through the network into serial data to transmit back to a serial equipment. 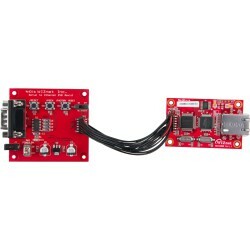 WIZ105SR-EVB is the evaluation board of WIZ105SR WIZ105SR is the serial to Ethernet module using W5100 & 8051 MCU. 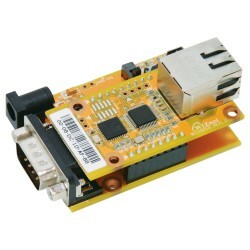 WIZ105SR is the protocol converter that transmits the data sent by serial equipment as TCP/IP data type, and converts back the TCP/IP data received through the network into serial data to transmit back to the equipment.